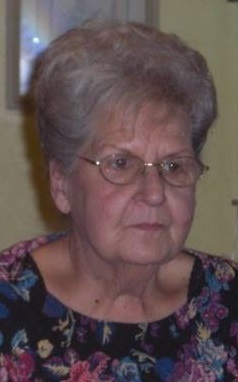 Marjorie F. Zirkle, 82, died Sunday, January 27, 2019 at home surrounded by her family. She was born February 7, 1936 in Toledo. Marjorie enjoyed crafts, gardening and her dogs including her present dog Bo. Marjorie is survived by children, Gary Williams, Linda (Terry) Cousino and Robert (Lisa Coker) Williams; grandchildren, Mike (Rachel) Reed, Shannon (Todd) Metcalf, Shylah (Steve) Miller, Rob Williams and Alicia Williams; 10 great-grandchildren; 2 great great-grandchildren. She is preceded in death by her parents, Edward and Bernice (Pratt) Campbell; great-grandson, Chanz Williams; a brother and a sister. Family and friends may visit the Freck Funeral Chapel, 1155 S. Wynn Rd in Oregon on Saturday, February 2, 2019, from 1-4 p.m. where services will follow at 4 p.m.